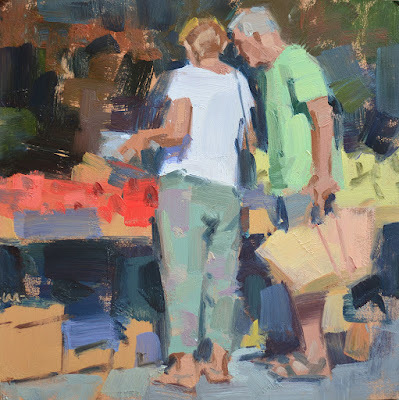 Here's another market scene from France. In case you'd like to see the reference photo (and even have a crack at it yourself) I put it up as a challenge photo on the Daily Paintworks challenge page last month. Anyone can submit (you don't have to be a member). I double dog dare you!